For his latest feature, the Palestinian filmmaker goes backstage at a TV soap. Salam, his thirty-something Palestinian hero, has to go through an Israeli checkpoint every day. That’s where he meets Assi, the commander, whose wife is a huge fan of the show. The wannabe screenwriter is now under pressure by the officer to rewrite the events of the beloved soap. Through the dilemma faced by his protagonist, stuck between Assi and the producers, Samah Zoabi once again points out the absurdity of the Israeli-Palestinian conflict, this time with humour, engagement and mad audacity. Sameh Zoabi was born and raised in Iksal, a Palestinian village near the city of Nazareth. He graduated from Tel Aviv University with a dual degree in Film Studies and English Literature. Zoabi then received a Fulbright Fellowship to study Filmmaking at Columbia University, earning an M.F.A. in 2005. Zoabi's work has been shown in many international film festivals such as Cannes, Berlin, Locarno, Sundance, Karlovy Vary, and New York Film Festival. A selection of Zoabi's notable work includes a short film titled Be Quiet (2005) for which received a prize at the Cannes Film Festival-Cinefondation Selection. His feature film debut, Man Without a Cell Phone (2010), won several audience awards as well as the Golden Antigone at the 2011 Montpellier Film Festival. 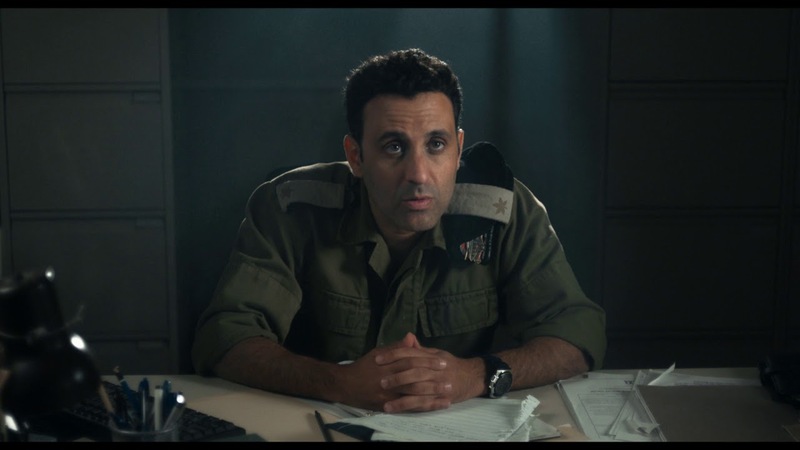 His second feature film, Under the Same Sun (2013) was about peace between Israel and Palestinians. Most recently, Zoabi wrote the original script of The Idol (2015), directed by Hany Abu Assad, which had its premier at the Toronto International Film Festival. Along with his work as a filmmaker, Zoabi developed a keen interest in academia. Zoabi is working as an adjunct professor at NYU Tisch School of the Arts, Hunter College and Columbia University's MFA program. Zoabi teaches core classes in directing, production and screenwriting.